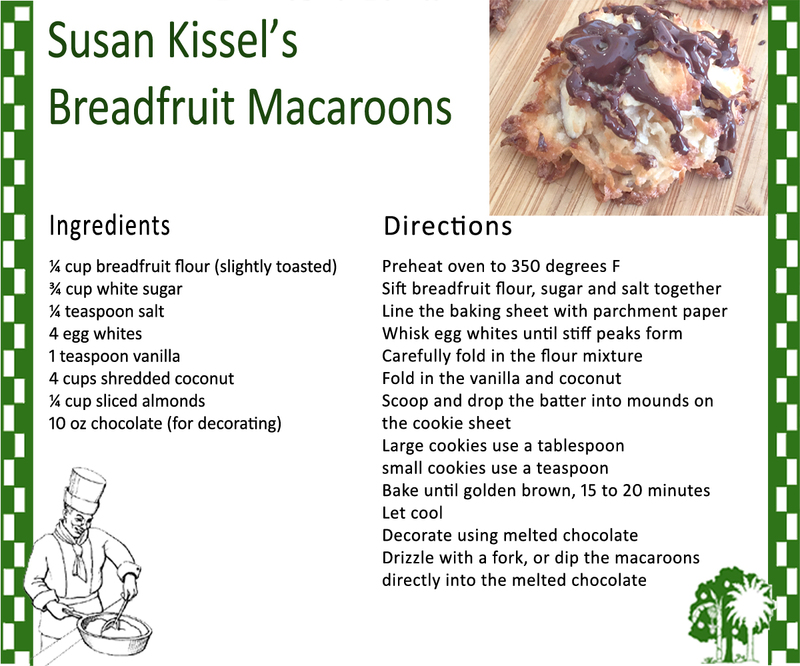 Watch this 2 minute video for a tasty recipe for Breadfruit Macaroons! Starring Susan Kissel, produced by Monica Fox. Thanks ladies! One more tasty recipe based on breadfruit flour, for all to enjoy! And watch this space for more recipes to come! 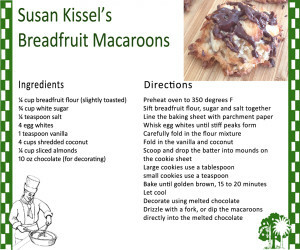 This entry was posted in Breadfruit, Nutrition, Recipes. Bookmark the permalink. Hi!, I live here in Puerto Rico and even though our breadfruit trees are almost all gone by the hurricane, and it will take time to grow again, before the hurricane I had already made flour with a tree that I have here on my house since I live in the country side. Can you please send my more recipes with the breadfruit flour. I did already your macaroons.